Types of Lipsticks You Never Knew About! These Lipsticks are best for people with dry lips. They are infused with vitamins and minerals such as vitamin c, glycerin or aloe vera that nourish the lips. The lips looks very shiny and healthy after using such lipsticks. 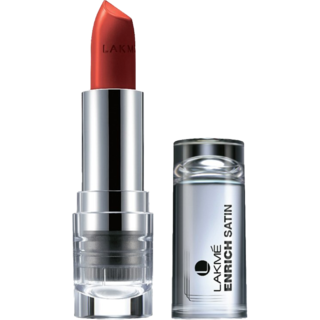 Satin lipsticks are another great alternative for women with dry and chapped lips as. These lipsticks also moisturize and nourish lips and make it shiny and glossy. Sheer and satin lipsticks are oil based and they usually appear darker in the package but quite sheer on the lips. Such lipsticks often need to be reapplied. Mate lipsticks are absolutely perfect for women who want to enhance their pout.. It is easier to over line the lips using these lipsticks. For best results , use with a lip liner. Cream lipsticks are wax based and are idea for daily use. They enhance the lip shape and feel extremely comfortable on the lips. However they are less long lasting than matte lipsticks. Metallic lipsticks are best for formal events where you want your lips to stand out. Such lipsticks sparkle as they contain glitter and illuminators to enhance the lips. However, they can dry out the lips so it is recommended to moisturize the lips before application. Glossy lipsticks are the best for women with small lips as they give the illusion of depth to the lips, making them look bigger as a result.. Gloss can be combined with lipsticks and lip liners for pouty lip. So which type of lipstick is your favorite? Let us know in the comments. Loose Powder vs Pressed Powder-Which One to Use and How?